In New Mexico, parents have an equal right to custody and visitation, and no preference is given based on gender. However, for a father to exercise those rights he must first establish paternity. Paternity is automatically established if the parents were married when the child was born or the child was born no more than 300 days after a divorce. Otherwise, a father must consent to his name being placed on the child's birth certificate or sign a Voluntary Acknowledgment of Paternity and file it with New Mexico's Vital Statistics Bureau in the Department of Health. Once paternity is established or if the man is presumed to be the child's natural father, he may petition a court for custody. The court will determine a custody arrangement based on the best interests of the child. Such factors include the child's preference, any mental or physical health problems of the parents or the child, the stability of the child's current environments, such as social, education and home, the child's relationship with each parent, the parents' ability to work together and the distance between the parents' homes. 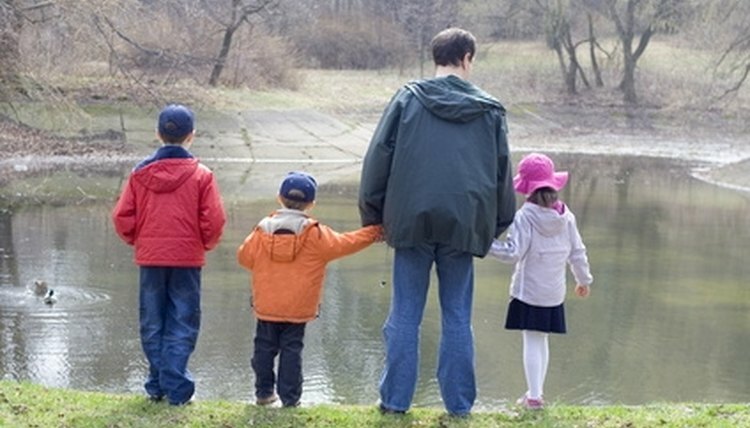 If a father is not granted custody, he can still exercise his visitation rights. The visitation schedule should be created in consideration of the parent's work schedule and the child's school and extracurricular activity schedules. If the parents cannot agree, the court will issue a visitation order. A., Bernadette. "Fathers' Rights in New Mexico." , https://legalbeagle.com/6932374-fathers-rights-new-mexico.html. Accessed 26 April 2019.